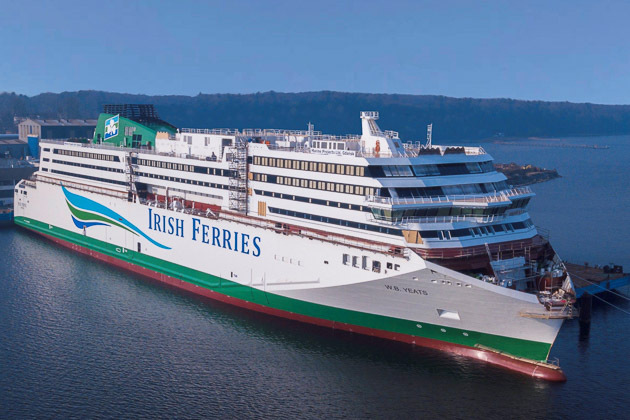 We are proud to have been selected to supply sewage treatment technology for Irish Ferries’ stunning new “W.B. Yeats”. The ship is equipped with a system of two HL-CONT Plus sewage treatment plants providing a peak capacity of 12.000 litres/hour. Built by Flensburger Schiffbau-Gesellschaft, she arrived in her home port Dublin on December 20th, 2018. “W.B. Yeats” will serve the route Dublin/Cherbourg.